Leaking Shower Head - Solved! Armed with these easy instructions, save yourself from the annoyance of a dripping shower head—and the shock of unexpectedly high utility bills—by dealing with a leak sooner rather than later. Q. Lately, when I take a shower, more water drips and runs out from behind the shower head faceplate than comes out the spray holes. I’ve also noticed water leaking from the shower head when it’s not in use. What gives? Should I call a plumber? A. If a constant drip, drip, drip keeps you awake at night, or if you get startled by a spray of water from a leaking shower head every time you hop into the shower, it’s time for a little servicing. If left unattended, those droplets can really run up your water and energy bills and even stain the interior of the shower—especially if your water supply is high in iron. Fortunately, fixing a leak from behind a shower head faceplate will likely be a quick project that won’t require special tools or skills. Repairing a leaking shower head that drips when turned off is more complicated but, depending on the cause, may also be solved without a plumber. Try soaking the shower head in vinegar. 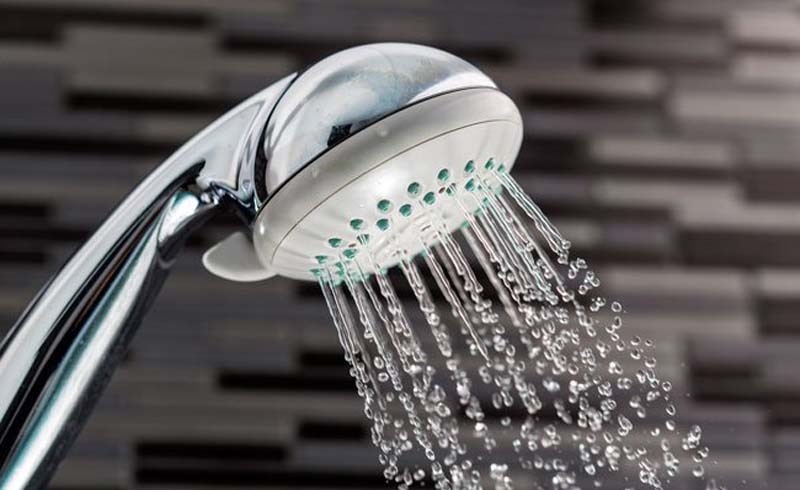 Over time, hard water deposits can build up in the holes of the shower head, restricting the spray of water and forcing the backed-up water out around the faceplate or out from the junction of the shower head and arm. To break up the hard water deposits, first remove the shower head by loosening the nut that secures it to the shower arm. Soak the shower head overnight in white vinegar to soften the mineral deposits, and scrub away any remaining residue with an old toothbrush before reinstalling. Check for a worn seal. Washers and O-rings form watertight seals between connections on a shower head, but they can harden or split over time, which allows water to leak out. This type of leak is especially common in shower heads with swivel connections, which have a seal behind the swivel assembly. If you suspect a worn seal, remove and disassemble the shower head to replace the washer or O-ring. Tip: When purchasing a new plumbing seal, take the old one with you to the hardware store to ensure that you bring home an exact match. Replace the washer in a compression faucet if the leaking persists. Compression faucets have two different handles: one hot and one cold. If you have a compression-style shower that leaks when turned off, the problem could be a worn washer in the assembly. First, determine which handle, hot or cold, is causing the leak by feeling the temperature of the dripping water. Then, turn off the water supply and give this fix a try: Remove the faulty faucet handle, which is held in place with a screw located below the handle or hidden under a pry-off cap. Slip off the cover trim to gain access to the faucet stem, which is secured with a hex nut. Use a deep socket wrench to remove the nut, and you should find a rubber washer. Replace it with a new rubber washer, and reassemble the faucet. In rare cases, the small curved area behind the washer (called the “seat”) can become so corroded or damaged that even a new washer won’t seal tightly enough to prevent water from leaking out of the shower head. If this happens, you’ll probably need to call in a plumber to replace the entire assembly. Replace a defective cartridge in the valve body. Many newer showers feature a single handle that controls both hot and cold water flow. In the wall behind the handle lies a valve body containing a cylindrical cartridge made of hard plastic. If the cartridge becomes worn or cracked, water can seep through—even when the handle is in the “off” position. This can cause water to drip or trickle from the shower head. Here, too, replacing the worn cartridge requires turning off the water supply to the shower. Access the cartridge by removing the shower handle (which is held in place with a small screw) and taking off the decorative faceplate and the cap that covers the valve body stem (by twisting or by removing a screw, depending on the model). Slip off the stem cover, which should give way easily, to reveal the end of the plastic cartridge. Most cartridges are secured with either a twist-on nut or a clip. Remove the nut or clip, then use a pair of pliers to grasp the stem of the cartridge and pull the cartridge out. Take the worn cartridge to the hardware store to get an exact match, install the new cartridge, and reassemble the faucet. If replacing the cartridge doesn’t solve your leaking shower head, the valve body itself is likely damaged. Unfortunately, replacing a valve body is a job for a plumber. 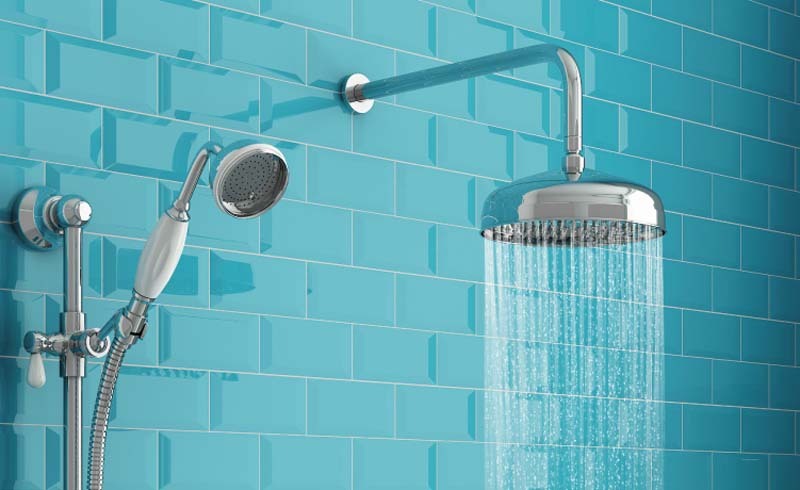 All shower plumbing works in a similar manner, but faucets, shower heads, and valve body assemblies vary in the ways they connect. When in doubt, refer to the manufacturers’ manuals (often found on their websites) or leave it to the pros. U.S. Daily News: Leaking Shower Head - Solved!